No hoods, hats or trainers! BackInTheDay! 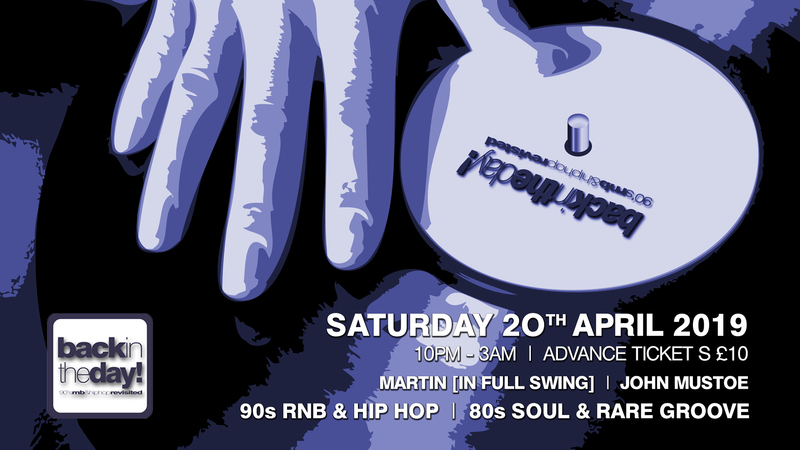 Saturday 20th April @ The Apartment, 16 Bath Street Cheltenham GL50 1YE. From the idea of a one off event 9 years ago to the South Wests largest Soul event!! We've had a little break but are pleased to announce we are back with our first event of 2019!! 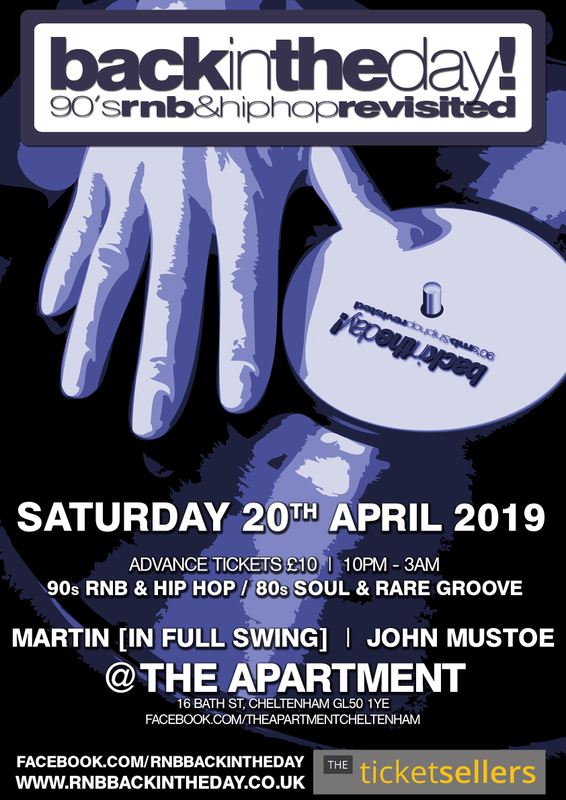 We're taking it back to where it first began with DJ's Martin [In Full Swing] & John Mustoe playing your favourite 90's RNB & Hip Hop Anthems / 80's Soul & Rare Groove all night long. Advance tickets are £10 and available from Martin or John or online via The Ticket Sellers. First 100 people to come and see us will receive a FREE copy of BackInTheDay! Mix CD Volume 51! Smart Dress Only, No hoods, hats or trainers.